Tahoe Wellness Cooperative is attempting to change the city of South Lake Tahoe's current medical marijuana ordinance with a petition and public vote. The summer has brought a series of legal setbacks for South Lake Tahoe’s only cannabis dispensary and its executive director, who remains confident that he and his business will prevail. The legal issues concern two separate cases: the first being a civil suit filed against the city by Tahoe Wellness Cooperative, the only legally operating dispensary on South Shore, and the second being a criminal indictment against Tahoe Wellness executive director Cody Bass. The legal turns also came as the city crafted its regulations for the recreational cannabis industry, regulations that Bass says completely ignore the fact that his business has been legally operating — and paying taxes — for the past 10 years without incident. Despite the hurdles, Bass, who is a candidate for South Lake Tahoe City Council, says he is here to fight as long as necessary. In May the Grand Jury of El Dorado County issued three felony counts and one misdemeanor against Bass, all related to taxes. Two of the counts allege Bass “willfully and unlawfully” filed a false tax return with the intent to evade personal income tax in 2012 and 2013. The third felony count alleges Bass failed to file an income tax return in 2014. The fourth count alleges Bass failed to pay income tax in 2011, a misdemeanor. Unlike criminal charges simply filed by the district attorney, a grand jury indictment requires agreement from a minimum of 12 grand jurors — 18 jurors appeared in court during the proceedings, according to court documents. Bass appeared before Judge Suzanne Kingsbury on Aug. 13 and pleaded not guilty. The case dates back to April 2015 when Tahoe Wellness was raided based on a sealed search warrant, the Tribune previously reported. Citing legal advice, Bass said he is limited on how much he can discuss the matter. He did say federal audits from the same time period found no criminal activity. Bass said the tax charges were an attempt to justify four search warrants executed in 2015. A pre-preliminary hearing is slated for Oct. 15. 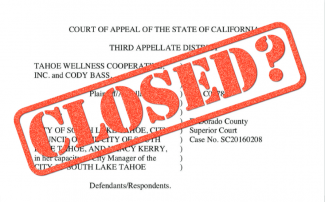 In June, El Dorado County Superior Court Judge Warren Stracener issued his judgment in Tahoe Wellness Cooperative’s lawsuit against the city of South Lake Tahoe. He ruled in the city’s favor but approved a temporary stay to allow Tahoe Wellness to continue operating until the case makes its way to the appellate court. The lawsuit dates back to December 2016 when the city rejected a renewal application necessary for Tahoe Wellness to continue operating. Then City Manager Nancy Kerry denied Bass’ application in November 2016 because it was, as is alleged in Stracener’s verdict, incomplete, late and lacking the application fee. Council affirmed that decision a month later. Eventually a stay was issued because Judge Steven Bailey — the presiding judge — was retiring in order to run for California attorney general. Bailey was willing to issue a ruling on an abbreviated timeline if both parties OK’d the move. The city did not, meaning the case had to be assigned to a new judge. Bass argues that Bailey was set to rule in his favor. Interim city attorney Nira Doherty takes issue with that characterization. “Any statements he’s made that there was a ruling or indication that there was going to be a ruling in his favor are inaccurate because the prior judge who sat on this case … never issued a ruling, statement of decision, or judgment and never indicated how he was going to rule in this case. So it’s entirely speculative,” she said. Regardless, the case went before Stracener. The case raised the question of whether or not Bass had a vested right to continue operating the dispensary, and whether or not the city abused its discretion in rejecting the application. The court sought to address seven core issues during the hearing. On each one of those issues, the court sided with the city. He said Stracener’s ruling boiled down to a different interpretation of the law than Bailey’s interpretation, which is why Stracener agreed to issue the stay. While Bass is in the process of filing his appeal and is confident he will come out on the winning side, he argues the city should negotiate with him to have the lawsuit dismissed. Central to this argument is the point he now owns the building. The major issue involved in Bass’ renewal permit in 2016 concerned approval from the landlord. That approval was necessary for his permit to be renewed. Bass, who was in a dispute with the landlord at the time, argued he had approval in the form of a lease. The city disagreed. Now that he owns the building the whole dispute is moot. As Bass sees it, the city is pursuing an expensive legal path with the intent of shutting down Tahoe Wellness. He estimates the legal costs for the appeal process will range from $250,000-$300,000 for each side. On Aug. 21 City Council approved its second reading of a new cannabis ordinance … for the second time. Council had initially approved the second reading — ordinances must be read and approved by council twice before they are adopted — in July. However, the version approved that day contained important omissions, according to a staff report. The error was made at the city staff level. In order to eliminate possible legal issues in the future, staff recommended rescinding the previous second reading and adopting the correct version of the ordinance on second reading that day. After some back and forth between members of council and staff, council unanimously moved to rescind the prior reading and approve the correct version, which will now take effect Sept. 20. 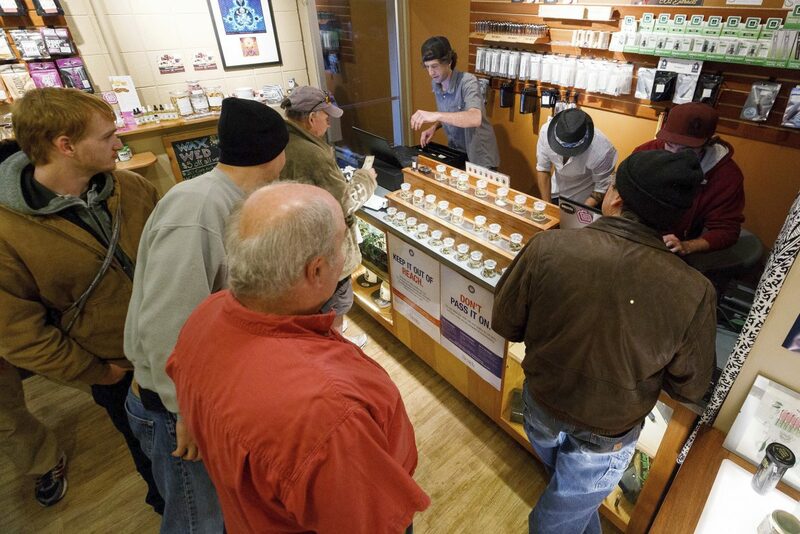 The ordinance allows for no more than two retailers, two cultivators and two microbusinesses — a type of license that allows for multiple uses — within the city. 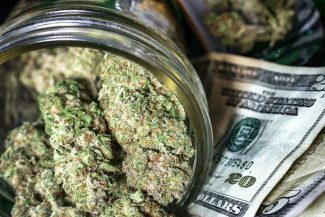 The ordinance also prevents the same person from owning/operating more than one cannabis business in the city, which is intended to spur competition and prevent a marijuana monopoly in South Lake Tahoe. Council also approved guidelines for development agreements, something each legally operating cannabis business will be required to have in addition to a state license, city use permit, and city-issued public safety license. A fee and cost recovery schedule also was included in the ordinance establishing development agreement guidelines. The cannabis regulations also state where certain types of cannabis businesses can operate based on zoning. Bass took issue with the zoning proposals, arguing that the maps presented at the Aug. 21 City Council meeting had changed from previous versions. He contends Ski Run Boulevard was added in the acceptable zones for a microbusiness license, in addition to industrial areas. 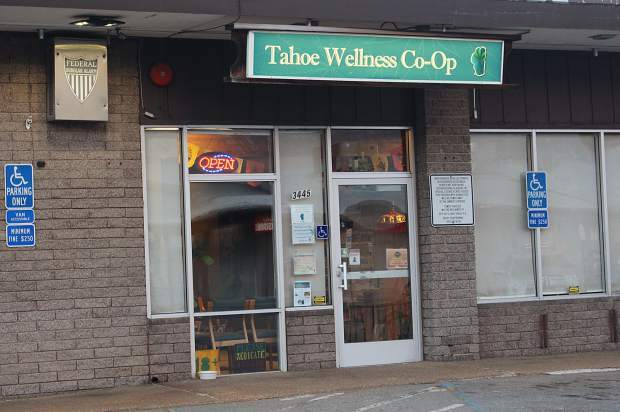 The zoning does not allow for a microbusiness license where Tahoe Wellness is located. Restricting the license to industrial areas only makes sense in theory, Bass told the Tribune. But to add Ski Run Boulevard and exclude the Bijou area where Tahoe Wellness is located seems like another tactic to try to shutdown Tahoe Wellness. Kevin Fabino, director of development services, took issue with the claim of changing maps. He said, based on council’s request, the city collapsed three different maps for microbuinsses into one single map. The geographical area did not change, he told council. Attorney Sergio Rudin added that the maps were simply a helpful tool based on plan area statements — the legal documents that dictate what uses are permissible. 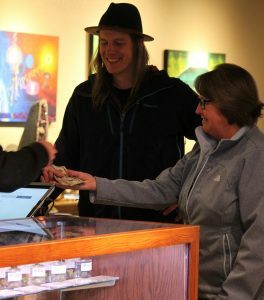 In order for Bass to continue his current operations and expand into non-medical retail, which is the sector with the largest potential growth, Tahoe Wellness would need one of the two microbusiness licenses available. Essentially, Bass said, he is stuck in the status quo while new businesses sprout up around him. With council approving ordinances on Aug. 21, the city will be able to start receiving applications Sept. 21. Fabino said they hope to start having businesses up and running within 120 days of the closing of the application period on Oct. 19.